You can equate saddle fitting on a horse to right shoe size and fitting for us humans. As torturing and painful as it can be for us to walk or even run around for hours in tight fitting shoes, or narrow ones; it is much harder, more painful and affects the well-being of horses. Essentially, the saddles fit is imperative to the comfort, safety and performance of both the horse and its rider. Saddles need to fit a horse just right, it cannot be too loose, tight, narrow or even too wide. Don’t consider your horse to be a poorly behaving or temperamental, always taken into consideration as to why he or she is behaving like so. Get to the root of the problem to be able to provide your horse the care and comfort it deserves. Once an evaluation has been made, it is recommended to get hands on the horse. Primarily noticing areas that are sensitive, muscle soreness and even prior saddle rub offs. Often a chiropractic evaluation and adjustment is carried out during this exam, which can produce more evidence about how the horse has been using his body. Now the Saddle, There are several lines of symmetry and all should be evaluated. A well made saddle should be symmetrical on both the top and bottom and also from back to front through the gullet while the sides of the panels must be well padded. A quality tree with strong resistance combined with leather must be used. As a broken one will usually cause too pressure and can be dangerous while riding and result in severe problems. It is of common covered practice to place the saddle on the horse’s back without any additions, so as to observe where the saddle settles in. It is best to avoid using any pads, girths or breastplates during this first trial. Sometimes walking the horse around helps to identify where the saddle appropriately settles, without being too slick and then slides off the animal’s hindquarters. The correct and safest position to place the saddle is behind the shoulder blades. Some riders make the mistake of placing the saddle way too ahead on the withers and further add breastplate s to maintain it in place. This causes pressure and compression on the chest and shoulders, all due to the weight of the rider. Pressure marks: These marks usually appear on the spot where the front of the saddle rests, called the gullet. Pressure marks are caused due to continual pinching and pressure from an ill fitting saddle. This may even lead to muscle damage. The width of a saddle on the horse’s back places immense pressure and causes dry spots on their back also leading to white hairs; which signs dying hair follicle again to o pressure. Bridging: At times of dressage, most horses need to bring their back round; during this it is recommended that a minimal amount of Bridging can be effective and beneficial for the horses. Bridging is where the saddle has a good grip on the front and back while maintaining a gap in the middle, while evenly maintain contact on the horse’s back muscle shape. Center of horse & Balance Point: The center of a saddle should be placed on the center of the horse. This is the safest and relaxed spot for both rider and horse. When a saddle is placed very much past the center of the horse, it’s the same as if you put a 20 Kilo pack of rocks on a person and placed it right between their lower ribcage and hips; it’s the same for horses. It is usually that if a rider stays on the ribcage they can carry the weight using their belly muscles to round up and lift their back and front ends. 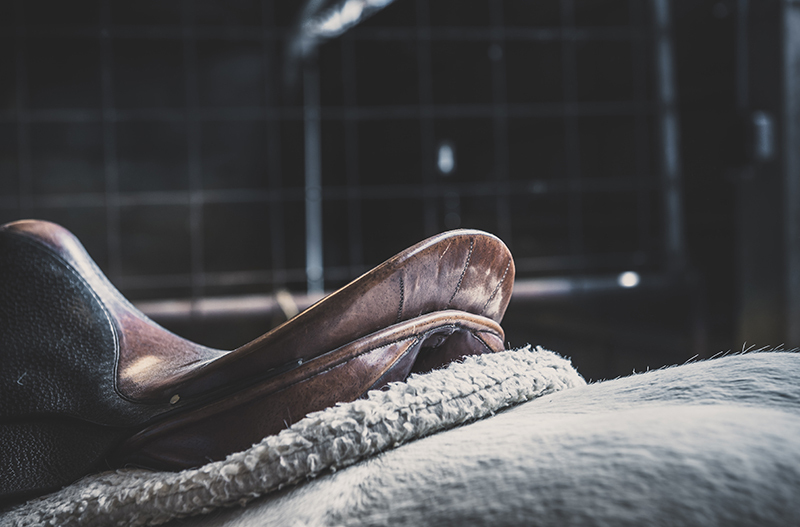 A poorly balanced saddle means too much pressure on either the front or back for the horse and uneven seating for the rider, causing discomfort and loss of balance for both horse and rider. It is of prime importance to check the balance point of the saddle, which is the part of the seat that is leveled flat when placed on the horse’s back. Girth: Whether or not to use girth is a good place to pay attention to. Checking for pressure points, bridging and the movement of the balance point in prior will lead to selection of girth to be attached and keep saddle in place. Choosing between a traditional or shoulder relief girth must be made after assessing the individual horse’s needs. In some horses the traditional girt might not be the right fit as they bring the saddle too far forward causing the saddle to block the horse’s natural shoulder movement. To sum up if the simple shape of the saddle is not apt then no matter how much padding is used it will never fit the horse comfortably. Padding alone is not a solution to make saddles close fitting. Proper saddle fitting comprises many aspects of horse anatomy and must be well studied and assessed to find the right saddle which in turn influences your horse’s performance and longevity. Do you own a horse? 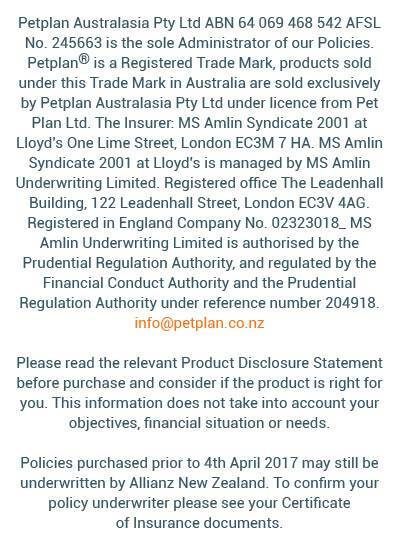 At Petplan NZ, we offer Equine Insurance policies. Contact our friendly team today to find out more and obtain a FREE quote.